ASA chairman John Elwood says that the way forward for the industry is service—to clients, candidates, and corporate staff. He thinks it’s the way forward for the association, too. 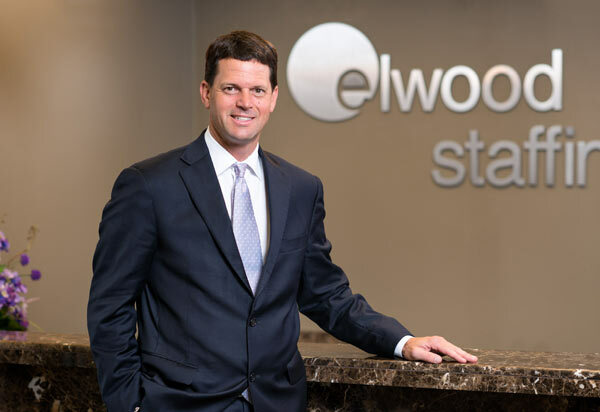 John Elwood’s company bears his name—Elwood Staffing Services. It’s a family business, but Elwood didn’t always plan to follow in his family’s footsteps. While still in college, he decided that a sales career would be a good fit for him. However, the lure of the staffing industry—which often is best known only by staffing professionals themselves—did eventually grab hold of Elwood. Now John Elwood is president of the company founded by his father, David Elwood, nearly 35 years ago. Elwood runs the family business alongside his two brothers, Mark and Michael, and their father continues to serve as chairman of the board. Based in Columbus, IN, Elwood Staffing Services today has 220 locations in 33 states and parts of Canada, and employs nearly 1,000 corporate associates. In October, John Elwood was elected chairman of the ASA board of directors. Staffing Success magazine recently reached out to the new chairman to ask him to reflect on his career—as well as look toward the future of the industry. SS: Do you credit your father and brothers with pointing you toward a career in the staffing and recruiting industry? Elwood: It wasn’t a direct path. The family business was only nascent when I was growing up. It wasn’t until later, when I was in high school and then college, that my father and my brother Mark really committed to growing the family business. Even before I graduated from Indiana University, with a bachelor’s degree in business, something happened that changed my trajectory in life. I was recruited by a company to sell educational books door-to-door for only the commission. I worked an average of 75 hours per week for two summers to help offset some of my college expenses. To say it was character-building would be an understatement. I will never forget that experience. It helped instill a work ethic that I’ll always cherish. And it helped push me toward the sales job I took right after graduation. I was having the time of my life at that job. I had a good salary, a company car, and health insurance, and I was living in Baltimore near the end of the career of baseball hall of famer Cal Ripken Jr. I had great independence and autonomy working in sales and wasn’t sure I was eager to give that up—but Mark kept calling. At first his calls were mostly innocent, a big brother checking in. As time passed, they began to sound more like recruiting calls as he tried to persuade me to move home to Indiana and join the family business. Over time, the conversations with Mark grew more and more exciting. It sounded like fun to join a growing company where the sky was the limit. I made the switch, a little more than 18 years ago, so—other than the job I had after college—Elwood Staffing is pretty much all I’ve known. It was, without a doubt, one of the best decisions of my life. To this day, I owe my dad and my brother a great deal of gratitude. SS: After nearly 20 years in the staffing and recruiting industry, what do you find exciting about it? Elwood: I’ve met some of the smartest and hardest-working people on the planet in this business. There’s a tremendous entrepreneurial spirit that seems to follow staffing industry people. We learn to look for solutions rather than problems. Despite advancements in technology, increases in legal and legislative complexity, and a much more sophisticated marketplace, one thing I still appreciate is the inherent emotional rush one gets from connecting people to jobs. The part of staffing that hasn’t changed fundamentally—at least not to me—is the difference we make in the lives of people. The industry certainly has seen changes, though. I remember working as a recruiter before emails were commonplace. Social media was nonexistent, and so were smartphones. Technology has enabled near-immediate connectedness and made consistent communication possible. Service expectations from clients have also gone up, while increased competition has put a squeeze on margins. This combination has forced everyone to become laser-focused on service delivery and productivity. At Elwood Staffing, we are 100% committed to being inextricably linked to providing superior customer service—this is not simply a slogan. It’s a way of life at Elwood. Most of these changes are actually beneficial; competition is good for everyone. Staffing and recruiting professionals are rarely satisfied with good enough. We tend to ask how we can do things better or more efficiently. SS: And how can the industry do things better or more efficiently? What are your tips for being successful? Elwood: What I’ve come to appreciate is that while not all business models are overly complicated, it doesn’t mean that execution or success is easy or simple. I have learned that the oft-quoted advice is true: People don’t care how much you know until they know how much you care. Staffing and recruiting professionals need to exceed expectations of the job seeker, client company, and fellow co-workers. If we serve these three groups better and always strive to improve, we will win a lot more than our competition. At its core, this is the Elwood Staffing mission statement. Elwood is known for providing superior customer service. Our staff is consultative and focuses on the long-term relationships we forge with our clients. The majority of Elwood’s business is light industrial, and we also have extensive experience in skilled trades, construction, and professional recruiting. Our client retention rates are among the highest in the industry. SS: What about tips for being a successful industry leader? I believe in balance. I have a good work ethic and competitive spirit, but I think I’m also fairly low-maintenance and easy to get along with. My friends would say I can be serious but also have a fun side. Others might call me stubborn. And, of course, I believe in sharing my skills to do good for the community. I serve on the Columbus Park Foundation and am a former president of the board. 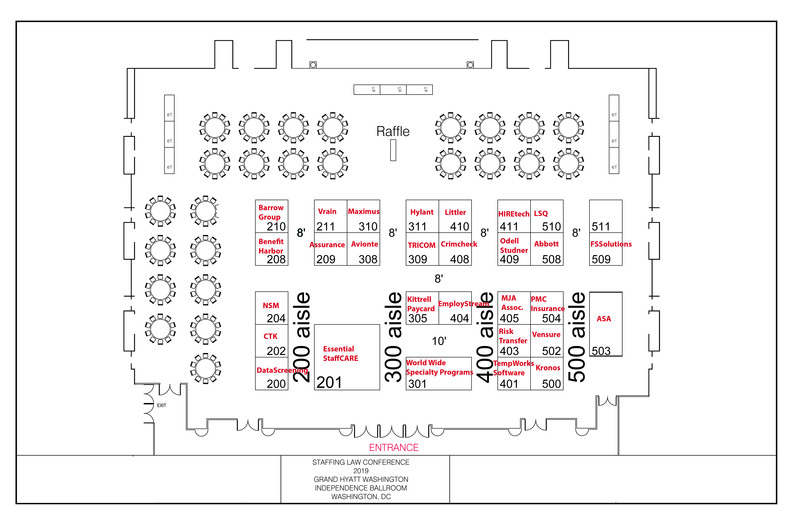 I served on the board for Columbus Downtown Inc. We have sponsored the local Literacy Festival and Minds on Math. Those are just a few examples. I appreciate everyone who has helped me get where I am. It’s been an unbelievable ride to get to this point. I can’t wait to see where the next 18 years go. SS: How do you see the American Staffing Association’s role on that ride? Elwood: At my company—and, I’m sure, at any successful company—the question that executives ask the management team when planning for the year ahead is not “What can we do differently?” It’s “What can we do better?” It is the same with ASA. I’d like to see the association continue to be the voice for industry-specific labor and employment data and statistics. In the year ahead, we will continue to develop new and deeper analytics and research that staffing firm executives can use internally—and to help clients devise and implement smart workforce solutions strategies. We also will be advancing our newest initiatives, on the skills gap, promoting the profession, and preparing tomorrow’s workforce. Specifically, I want to explore ways that our industry can become more integrated into academic settings as a formal field of study. I’d also like us to get more traction and more visibility with local, state, and federal policy makers. We will be working on the Affordable Care Act, continuing our work with the U.S. Occupational Safety and Health Administration, and making sure that all of the newly elected members of every state legislature and the U.S. Congress know who we are and how important we are to their constituents, and to this country. And I would like to see more professionals earn one of the ASA certifications, including the newest certification, for health care staffing professionals, which we’ll be introducing in 2015. SS: It sounds like you have a busy year ahead. Elwood: Yes, but I can’t—and don’t want to—do it alone. ASA will continue to reach out to all its members, through multiple platforms. We want everyone’s input; we want staffing and recruiting professionals to volunteer; we want members to help us take our industry to levels that our parents and our founders never could have imagined. Jennifer Silber, CAE, is editor for ASA. Send feedback on this article to s******@americanstaffing.net. 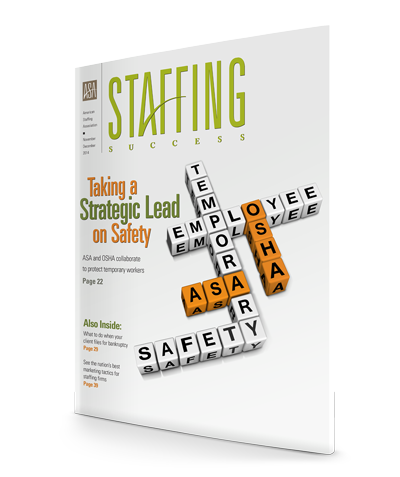 Follow ASA on Twitter @StaffingTweets.